Ventura Securities Franchise is a one of the largest broking franchise head-quartered in Mumbai. 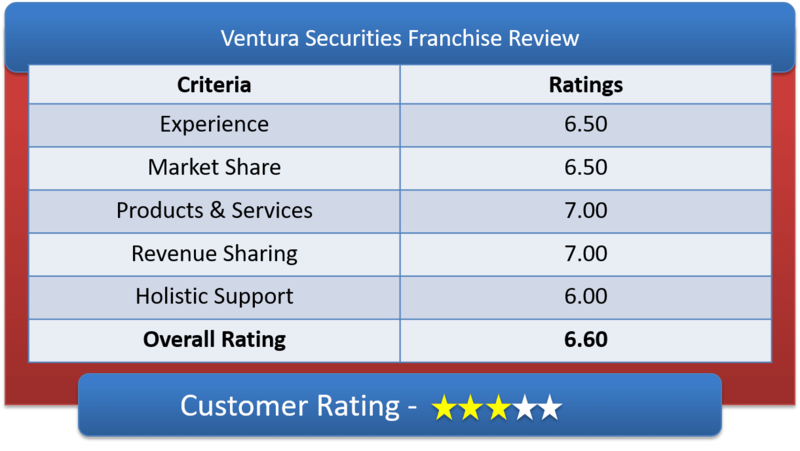 Lets have a detailed Franchise Review & wholesome understanding of Ventura Securities Sub Broker offerings, Ventura Securities Franchise Revenue Sharing Models & other features of Ventura Securities Partner Program. Ventura Securities is a renowned broking organization for its services in stock and commodities. The company’s Managing Director name is Mr. Sajid Malik. 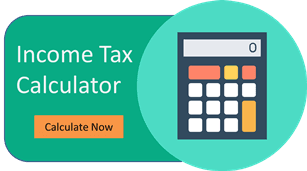 Ventura is a registered member of NSE, BSE, NCDEX, MCX and it offers the customers a range financial products and services into Equities, Commodities, Currency, IPOs, Mutual Funds, Bonds and Corporate FD’s. Right now they are widely spread across India and has more than 433 terminals spread over 85 different locations (in urban, suburban and metros). Providing their services to more than 1 Lakh retail clients. Their stock broking franchise are totally secured and with only moto to maximize the ROI. This company is backed up by stock giants and professionals. Ventura Securities Ltd started the franchise distribution since 1992.
Business Partner or Sub Broker– This model suits to the person with entrepreneurial skills or those who have good social circle and proper understanding of financial products. Those who can also manage employees under him and invest for their own franchise office. The business focus involved here is the client servicing at a large scale. Professional Referrals – This model those who are practicing Accountants, Financial planner, Insurance Advisors or if somebody is working at other financial company. They can channelize the existing clients for investment in a particular segment. Lets have a detailed review of Ventura securities Franchise Revenue Sharing Model & their Initial investment requirements. They offer a lucrative brokerage revenue sharing to their business associates that from 60-70% for partners and 30-40% to the company. In case of the Professional Referrals, this amount is very less that goes up to 25-35% to the partners. To become a Ventura Partner, initially the person had to pay around 1 Lakh as security deposit amount which is refundable during the exit. Apart from this, office setup can cost you around you from 2-5 Lakhs. The franchise owner has to bear the expense for CCTV, PC or Laptops, Call logger or recorder landline facility and one terminal at least; broadband internet, office rental and electricity bill. The office area should be of minimum 200 square feet at prime location. The registration charge for NSE at Rs. 2360 per segment is charged (non- refundable) for trading (equity/ cash F&O/ commodity/currency/derivative). Ventura offers variety of financial product like Equity, currency, commodity, derivative, Mutual Fund, Insurance, SIP, Bond, NCP, FD and many more. Their Pointer facility is very useful and helpful for analysis. The partner and their employees are trained by the Franchise Relationship Managers about the Ventura franchise business, client acquisition, sales pitch, business process and business ethics. The partner gets comprehensive operating manual for franchisee and its features, functions and processes. The company provides advisory through mails and calls. SMS alert facility is also available. The Back-Office technical team will teach everything about their in-house software, Trading platform, POINTER (for Equity, Mutual Fund and Commodities) and other processes of online fund transfer. Why Partner with Ventura Securities? How to become partner with Ventura Securities? Submit the above documents as proof and fill up the forms provided by the Ventura franchise manager. The agreement for the franchisee is made for 1 year that can be renewed next year. It generally takes 12-15 days to complete the registration process, and then the partner receives the Franchise business code.